If you are experiencing the typical problems associated with these BMW Model C33 radios, it is time to fix it once and for all!! 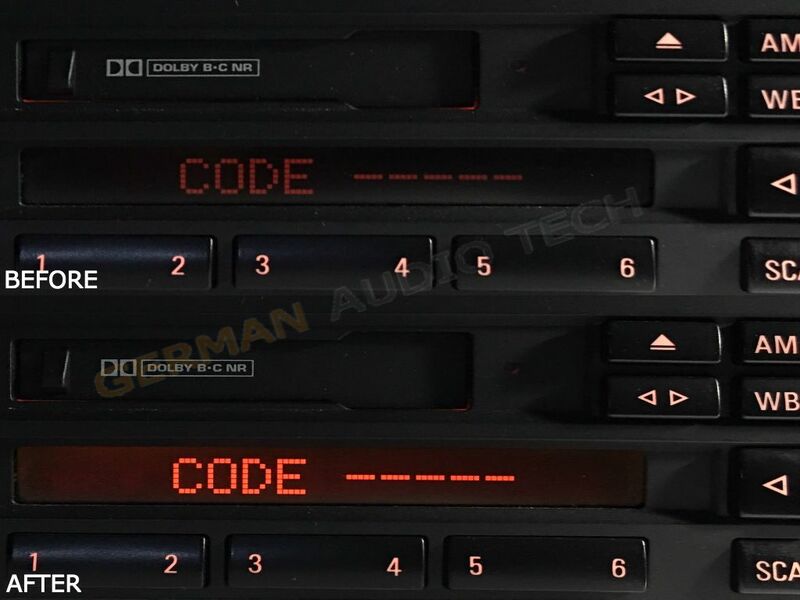 This listing is for the purchase of a SERVICE to repair your 1996 - 1999 BMW E36 3-Series, M3 & 1996-2002 BMW Z3 Cassette/ Radio. Trust the BEST!! We have over 15 years experience working with these highly-problematic head units and have repaired literally several hundred of these since. We can also repair the BUSINESS RDS Model C43 radio for illumination, tape and volume adjustment. We GUARANTEE our work 100%! Why risk buying another dud? Have yours repaired and save yourself the headache! This is a flat-rate service; there will be no additional or hidden charges. Have a question? Please send us a message! COMPLETELY DEAD? WE CAN REVIVE IT! PHYSICALLY DAMAGED GLASS DISPLAY? WE CAN REPLACE IT FOR AN ADDITIONAL $40. WE CAN NOW INSTALL AUX INPUT CABLE INTO YOUR RADIO FOR AN ADDITIONAL $20 FEE. **WE DO NOT REPAIR NO AUDIO & WEAK OR NON-EXISTENT AM/FM RECEPTION. DO NOT MAKE ASSUMPTIONS! PLEASE ASK QUESTIONS BEFORE PURCHASING SERVICE. ONLY WHAT IS LISTED IS WHAT IS FIXED.